DataStage is a broadly used ETL tool for extracting the data from various sources and loading it into the target after applying the required transformation on it.We are providing DataStage Online training for learner, which includes flexible class timings, interactive online sessions, DataStage tutorials and 24 hours support. Our DataStage online training is a complete package on DataStage ETL tool.Our skilled trainers will provide you the online sessions as per your convenience. DataStage course is designed meticulously by our expert trainers to make you understand the whole process of ETL step-by-step. 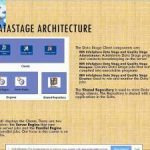 DataStage is an ETL tool and also a segment of the IBM Information Platforms Solutions suite and IBM InfoSphere. 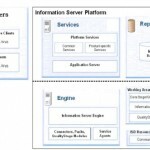 It is using a graphical notation to create data integration solutions and is available in various versions such as the Server Edition, the MVS Edition and the Enterprise Edition. We are providing DataStage online training especially for the working professionals who are not able to find time for joining classroom training. If you are thinking to join our DataStage training, we can arrange online session for you according to your flexibility. Our expert trainer will explain you about Data Warehouse, Data Modeling, Process of Extraction, Transformation and Loading, installation process and responsibilities of DataStage Administrator by giving the examples on real-time scenarios. 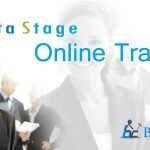 BigClasses is one of the best online training organizations offer Data Stage training. We have qualified and experienced faculties who are responsible for taking the online sessions. We provide study materials and 24 hours support to our national and international learners as well. If you are interested inData Stage online training, contact us for the detailed course and the free demo classes.